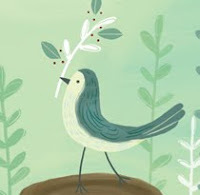 RABBITAT from UnderCurrent Productions on Vimeo. Wasn't that fabulous? Come to the Library the book mentioned in the film, Pocketful of Posies: A Treasury of Nursery Rhymes [JP POC] and spend another day poring over the beautifully imaginative and intricate work of Ms. Mavor. Children's book writer, Charlotte Zolotow, the beloved author of Mr. Rabbit and the Lovely Present [JP ZOL], The Bunny Who Found Easter [JP ZOL], and dozens of other picture books, was also a children's poet. She passed away at the age of 98 back in 2013. 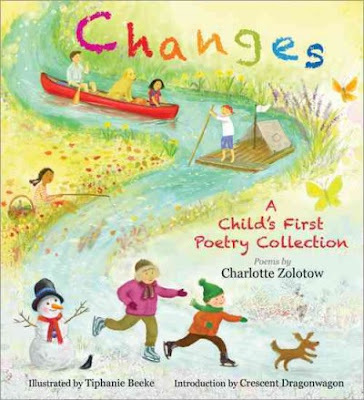 On the occasion of the 100th anniversary of her birth, Changes: A Child's First Poetry Collection [J 811.54] was published. The "Introduction" was written by her daughter, Crescent Dragonwagon, and the lively illustrations are the work of Tiphanie Beeke. A little reminiscent of Emily Dickinson, don't you think? 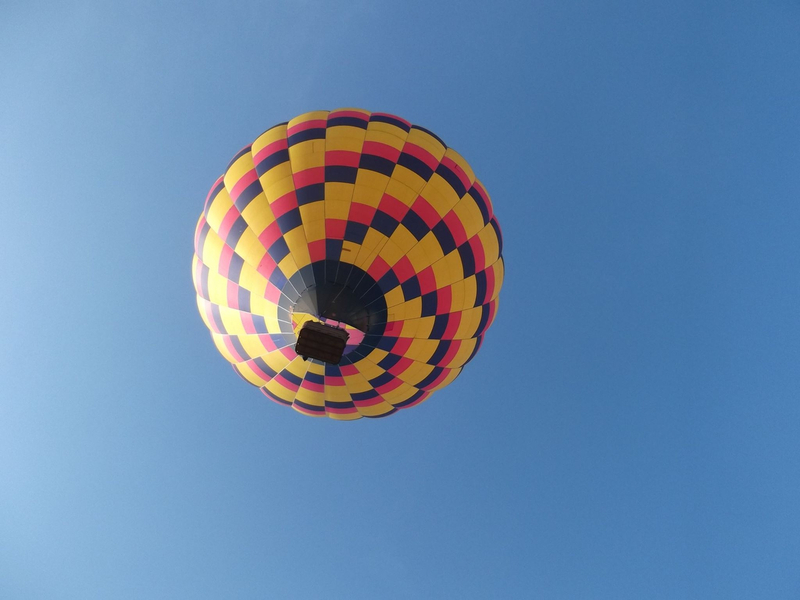 Head over to the Poetry Friday Round-Up being held at A Word Edgewise and then go off to capture your own moment of summer! 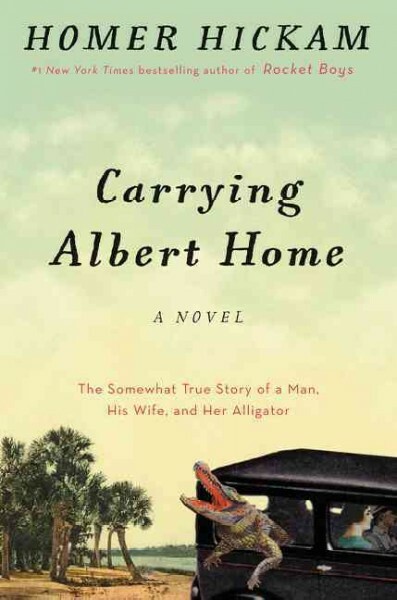 What Were You Reading Five Years Ago? Weiner, Jennifer. Next Best Thing. Rollins, James. Bloodline: A SIGMA Force Novel. Martin, George R. R. A Dance with Dragons: A Song of Ice and Fire, Book 5. Furst, Alan. Mission to Paris. Walker, Karen Thompson. Age of Miracles. Frank, Dorothea Benton. Porch Lights. 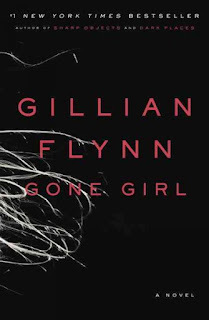 The number one title, Gone Girl, had only been released in June, and by July 16, it had already spent five weeks on the bestsellers list! It only goes to show you what a good plot and great pre-publication hype can do! 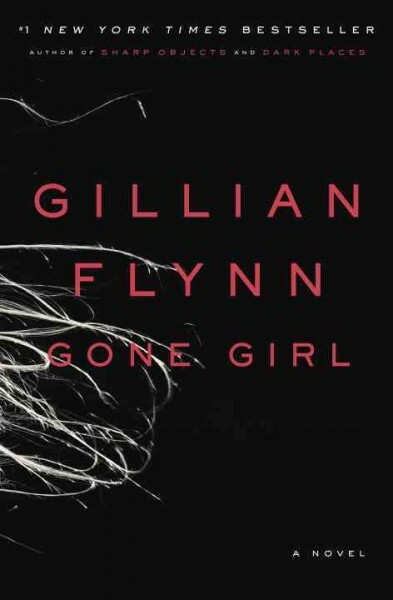 You may have gotten caught up in the Gone Girl mania at the time, or, you may have decided to wait until demand died down. I checked our catalog on Tuesday and found that we have the regular print, eBook, audiobook, eAudio, and two copies of the subsequent movie on DVD all available to borrow! We even have a copy in Chinese, titled Kong Zhi, sitting on the shelf! 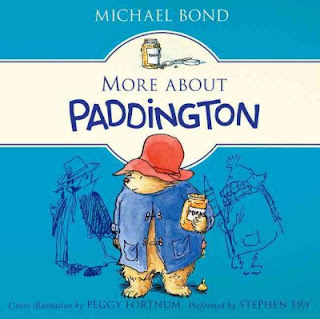 So, if you never read it back then, here's your chance to read it now! 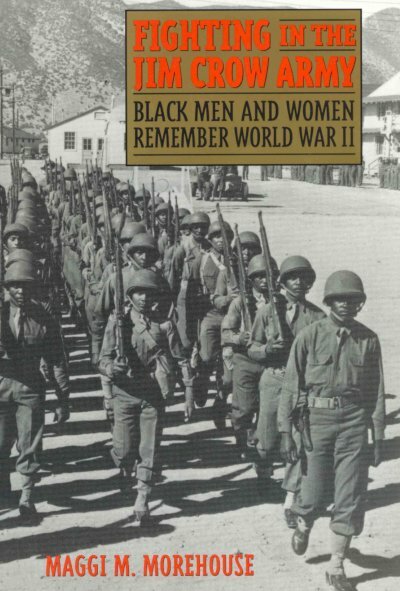 It was on this day in 1944 the the United States Army officially desegregated its training facilities. 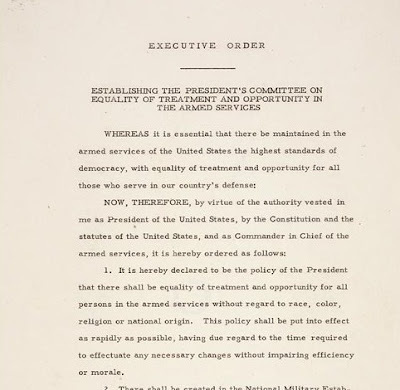 However, it still took four more years before the president, Harry S. Truman, signed Executive Order 9981: Integration of the Armed Forces, which integrated all the U. S. armed forces. That signing also took place on July 26. Sorry, no post yesterday. Summer is a crazy time here at the Library, and time got away! If you lived in the U. S. Virgin Islands (composed of the islands of St. Croix, St. Thomas, and St. John), then today would be a holiday. It is "Hurricane Supplication Day." What kind of holiday is that? you might ask. Some terrific/horrific storms develop in the Atlantic mid-August to late September. So, if you lived on an island in the ocean, you would quickly understand that it's a day to prepare for the upcoming hurricane season. Islanders attend church to pray--supplicate--for safety during the season. It seemed as if a total dissolution of nature was taking place. The roaring of the sea and wind—fiery meteors flying about in the air—the prodigious glare of almost perpetual lightning—the crash of falling houses—and the ear-piercing shrieks of the distressed were sufficient to strike astonishment into Angels. If the islanders make it through hurricane season, then, on the third Monday in October they celebrate Hurricane Thanksgiving Day! Let's hope the season passes uneventfully. If you'd like to visit the U. S. Virgin Islands, you may want to wait a few months. In the mean time, you can prepare yourself by reading about the Virgin Islands National Park in National Geographic Guide to National Parks of the United States [917.304 NAT], and by listening and dancing to Quelbe, the official music of the islands. On this day in 1861, one of the first battles of the American Civil War took place. 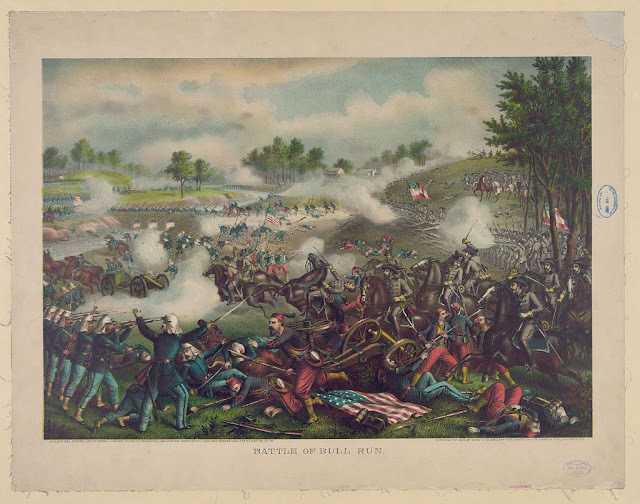 The North referred to it as the First Battle of Bull Run, the South called it the Battle of First Manassas. As you may have suspected, there followed a second battle on the spot in August 1862. Up to the point of the first battle, many thought the civil war would be over quickly, and relatively easily. On July 21, some actually assumed they could head out to the battle scene and watch while they ate a picnic lunch. What a mistaken assumption that was! Northerners, Southerners, generals, couriers, dreaming boys and worried sisters describe the glory, the horror, the thrill, and the disillusionment of the first battle of the Civil War. Whence should come the trust and cheer? Age finds place in the rear. Who here forecasteth the event? The air is blue and prodigal. Yet lasting in belaureled story. Chatting left and laughing right. Thy after shock, Manassas, share. 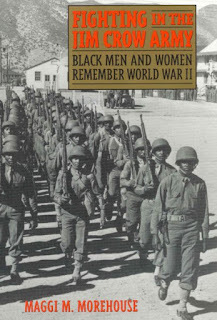 For more poems of the Civil War, look for "Words for the Hour": A New Anthology of American Civil War Poetry [811.008 WOR]. The Poetry Friday Round-Up is being hosted this week by The Logonauts! 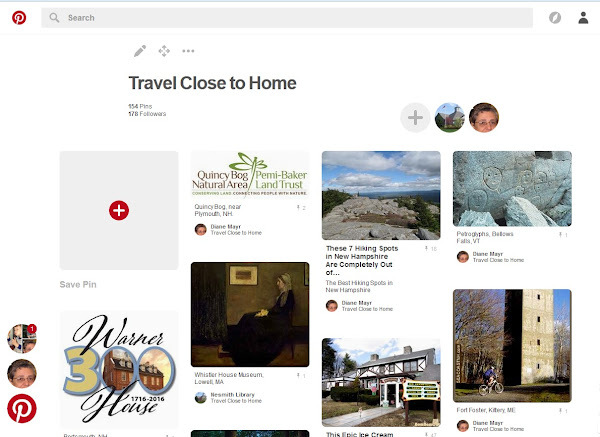 And, we have a Pinterest page titled Travel Close to Home, that has over 100 pins for locations or activities in the New England states, especially New Hampshire. You'll find something for everyone from A (art museums) to Z (zoos) and a whole lot in between! Yesterday I offered audiobook suggestions for your family road trip. Today, we'll look at two more things to do in the car, neither of which involve a screen. The Everything Kids' Travel Activity Book: Games to Play, Songs to Sing, Fun Stuff to Do--Guaranteed to Keep You Busy the Whole Ride! by Erik A. Hanson [J 793.7 HAN, eBook], 150 Nifty Travel Games and Card Tricks [J 793.7 ONE], or Hopscotch, Hangman, Hot-Potato, and Ha, Ha, Ha: A Rule Book of Children's Games by Jack Maguire [793 MAG]. Sooner or later this summer you will embark on a real roadtrip. Keeping the kids occupied can be a challenge--there are only so many times they can watch their favorite Disney movie! Or, if your vehicle is not equipped with a DVD player, what then? Get them totally away from a screen and let their imaginations loose with an audiobook? Pick a classic and everyone will listen! 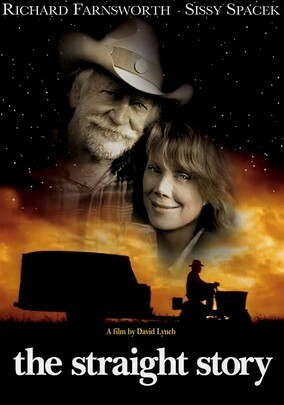 Other filmic journeys are male buddy movies, family vacation movies, human/pet trips, and a journey on a riding mower! There's sure to be one for you! Have you been to the beach lately? One of the great things about the New England coast is the abundance of shore birds such as Piping Plovers. The Piping Plovers have had a hard time in the past, but their future has been improved. Here's a short video on how the Piping Plovers are being protected in Massachusetts. I could watch the scurrying creatures for hours--as a matter of fact, the last time I was in Maine, that's exactly what I did! in a state of controlled panic, a student of Blake. and glazes over his dark and brittle feet. He runs, he runs straight through it, watching his toes. he stares at the dragging grains. is higher or lower. He couldn't tell you which. looking for something, something, something. Poor bird, he is obsessed! mixed with quartz grains, rose and amethyst. Did you know that today is National Mac & Cheese Day! Visit the Poetry Friday Round-Up being hosted by Tabatha Yeatts, where you may find a mac & cheese celebration in poetry! The summer is the time for road trips, whether they are short trips within New England, or extended cross country trips. Penguins are natural born swimmers. Humans, not so much. It's a shame that children sometimes learn to fear the water before they learn to swim. If you need assistance with teaching a child (or yourself) how to swim, we have materials that may help, and, once a child learns, he/she may quickly decide to pursue swimming as a sport. 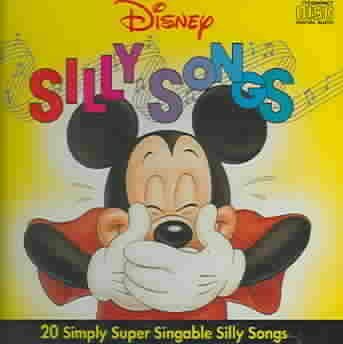 For those who prefer video learning, look for Safety Smart in the Water [J DVD SAF], part of the "Disney Wild about Safety" series. The summer is the time for getting the kids outdoors! Many kids are involved in outdoor sports, but there are also games that can be played that don't require an investment in equipment. There are tried and true ones like hide-and-seek, but how about something new? 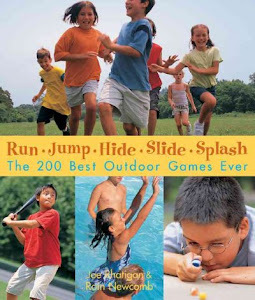 If you're an adult looking to engage a group of kids, The 175 Best Camp Games: A Handbook for Leaders by Kathleen, Laura, and Mary Fraser [790.15 FRA] will get you started with fun games like "Slow Motion Tag." To encourage cooperation rather than competition there is Cooperative Games and Sports: Joyful Activities for Everyone by Terry Orlick [793 ORL]. If you just want to let your kids go outdoors without any structured play or games, that's a great idea, too! Angele J. Hanscom recommends it in Balanced and Barefoot: How Unrestricted Outdoor Play Makes for Strong, Confident, and Capable Children [306.481 HAN]. Happy Birthday, Mrs. Whistler's Son! 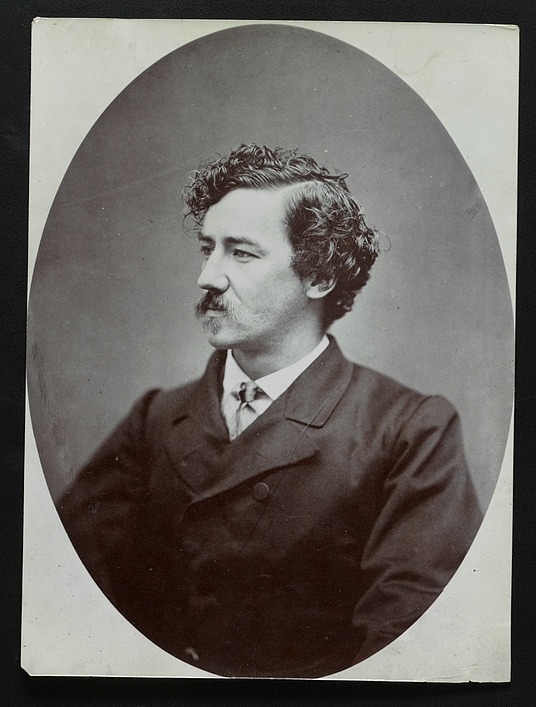 James McNeill Whistler, artist, was born on this day in 1834, in Lowell, Massachusetts. You probably know his most famous, and often parodied work, "Arrangement in Grey and Black No. 1" a.k.a. "Whistler's Mother." The Whistler home in Lowell is now the Whistler House Museum of Art and is open to the public Wednesdays through Saturdays. If you're interested in art and artists, it's worth a visit! 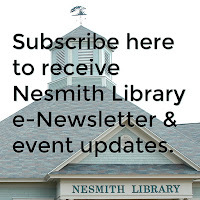 Read about the artist in James McNeill Whistler by Hilary Taylor [759.73 TAY]. And suddenly becomes a flaming torch. Gleaming and rattling like a frightened snake. And stamps the flames out with her small firm feet. Of course, now that I'm looking for it, I can't find the Facebook video I had originally seen. Here's another that should demonstrate the "daring art" and put a little flame in your soul. Enjoy! 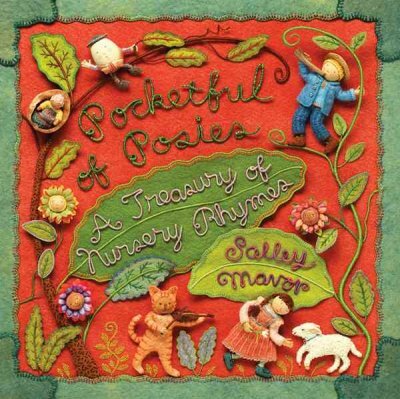 Carol at Beyond Literacy Link will be hosting the Poetry Friday Round-Up for this week. 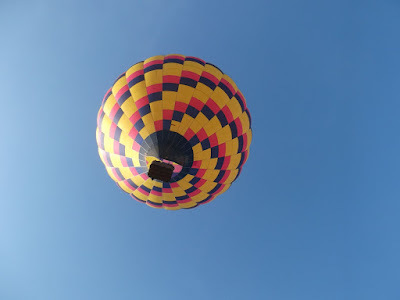 If you have this week off, head north to the Hillsborough, NH Balloon Fest & Fair going on today. You missed the 6:00 AM take-off, but there's another this afternoon at 6:00 PM. It should be a sight to behold! You may have noticed a bit of shelf emptying and shifting going on in the area formally known as "Reference." We now have a small display of "hot" bestsellers available for a one-week loan. The collection we refer to as "Unusual Items" has been moved to directly behind the the "hot" books. In case you don't know what's in our collection of "Unusual Items," here are some of the items you can borrow--they are not books, DVDs, or musical CDs! And there's more! Have you heard about the lawn game from Sweden called Kubb? We bought a set so you can try it out before buying one of your own. Everything goes out for two weeks and may be just what you need to help you finish a project, or introduce you to a musical instrument. Come visit the Library and see what we have. We're looking to purchase more items, so your suggestions are always welcome! 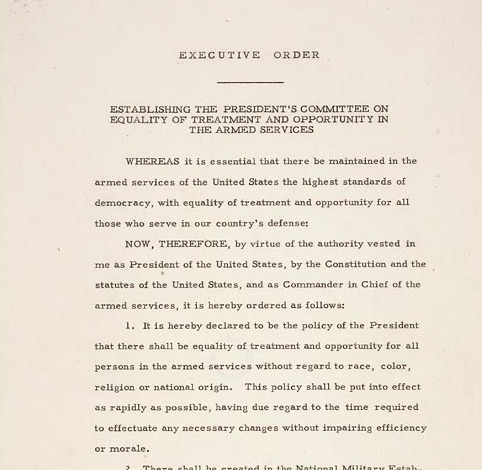 The 4th of July used to be referred to as Independence Day, since that is the day the Declaration of Independence was adopted on July 4, 1776 thus changing the course of history forever. New Hampshire was on board with the independence movement and was the first of two states (along with Delaware) to authorize their delegates to declare independence on June 15, 1776. Yay, New Hampshire! We had three NH signers of the Declaration: Josiah Bartlett, Matthew Thornton, and William Whipple. Imagine affixing your name to such an important document! To learn more about these three, and all the signers, look for The Signers: The 56 Stories behind the Declaration of Independence by Dennis B. Fradin [J 973.3 FRA]. It is a good idea to periodically read the Declaration of Independence to remind ourselves of our brave beginnings! Enjoy your Independence Day tomorrow. The Library will be closed, but we'll be back here Wednesday morning at 9:00!